The wondrous witch hazel. One of nature's most powerful healers. Witch hazel, or Hamamelis, is a low growing shrub native to North America. It has been used for thousands of years to treat everything from inflammation, to laryngitis, and is shown to speed recovery from bumps and bruises. The entire witch hazel plant, including the bark, leaves, and twigs are all high in tannins, which are responsible for the astringent properties of this plant. Astringents are used to tighten and harden tissues, making witch hazel highly effective at tightening pores and removing excess oil. Witch hazel contains flavonoids and procyanadins which contribute to its anti-inflammatory properties, making it helpful in relieving pain from hemorrhoids and varicose veins as well. I first learned of the healing ability of the all mighty witch hazel quite some years ago, but it wasn't until recently that I put it to good use. After the birth of my son, I started experiencing breakouts, especially at that magical time of the month. Here I was, in my early 30's, dealing with my first wrinkles and now I had to worry about pimples too? I thought those were supposed to be saved for the lucky adolescents and pre-puberty crowd. But no, as cruel luck would have it, I was stuck dealing with fine lines AND pimples. It was embarrassing to say the least. In this society, we have a pill for virtually every ailment. While some conditions do require a visit to the doctor, there are many that benefit most from nature's cures. When I started looking for an all natural cure for my annoying problem, I knew it would most likely come from a plant, not the dermatologist. Enter witch hazel. It was shown to treat a variety of conditions, most recognized was its ability to treat problematic skin. I began using it regularly, once a day after I washed my face and I was astounded with the results. My skin was clear without feeling dry. Witch hazel is known for its gentle cleansing properties, so it can reduce breakouts without stripping the skin. Once again, Mother Nature has done what she does best- provides. No toxins, no chemicals, no labs required. Just pure, natural relief. Read on to find more uses for this all natural, inexpensive liquid. This is the remedy Witch Hazel is most known for. Naturally and quickly helps clear up problem skin without over drying. Apply to a clean cotton ball and wipe over entire face. Can also be dabbed on pimples to facilitate the healing process. 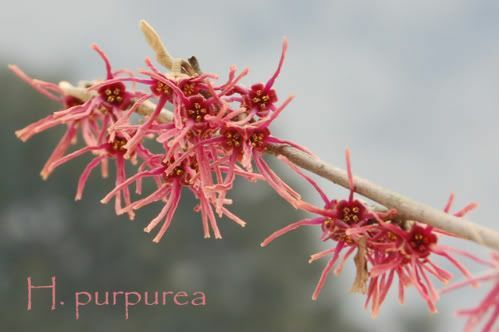 Witch hazel has been proven effective in reducing the healing time of bruises and bumps. The reason? It constricts blood vessels, helping to reduce swelling. Soak a cloth in witch hazel and apply to affected area twice a day. Baby's diaper rash hanging around longer than you want it to? Looking for an all natural remedy? Try witch hazel. Apply to cloth or cotton ball and dab on affected area, and you will see immediate results. 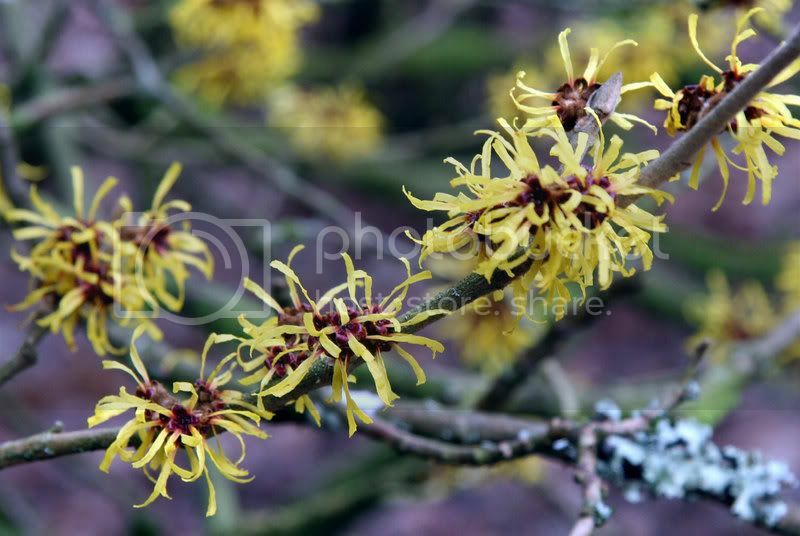 Witch hazel has been shown to reduce the pain associated with varicose veins by shrinking blood vessels. Soak a lint bandage in witch hazel and apply to area. Some studies show witch hazel to be effective in treating spider veins as well. Stayed up too late last night? Got bags under your eyes? Soak a cotton ball in witch hazel and apply to under eye are for 5 minutes, taking care not to get solution in your eye. Witch hazel not only tightens skin, but it provides anti-itch relief as well. It has been used to treat hemorrhoids naturally and quickly. Many over the counter products contain witch hazel in them. Combine witch hazel with aloe or petroleum jelly and apply to external hemorrhoids and you will significantly reduce itching. To soothe painful chicken pox blisters, soak area in vessel filled with witch hazel. You can also soak a cloth in witch hazel and lay over affected areas. Witch hazel can also be combined with honey, a few essential oils, and aloe vera gel to make a spray that will not only reduce the itching associated with chicken pox, but also help to dry the blisters quickly. Mix all these together and then add 1/2 c distilled witch hazel and mix again. Pour into a spray bottle and use on affected areas, avoiding eyes. The anti-inflammatory properties of witch hazel make it great for soothing razor burn. It not only alleviates the burning sensation but speeds healing time as well. Apply to cotton ball and wipe over affected areas. Witch hazel is not only an anti-inflammatory and astrigent. It is also an antiseptic and has been referred to as nature's Neosporin. Witch hazel can be applied to minor cuts to cleanse, provide protection from infection, and encourage rapid healing. For bruising, witch hazel reduces swelling and speeds recovery time. Apply to a cloth or bathe area in witch hazel. Witch hazel is known for its skin soothing abilities. It can be very helpful in alleviating the pain associated with a sunburn. It provides long lasting anti-inflammatory relief and is one of the most effective home sunburn remedies. Soak a cloth with witch hazel and apply to sunburned area. Again, witch hazel's anti-itch and anti-inflammatory abilities make it a great choice for soothing irritating bug bites. Apply with a cotton ball to relieve itching from mosquito bites, bee stings, and other bug bites. Provides immediate relief from the itching and swelling. Maybe you're a sleep deprived new mom, or just had a long crying spell. No doubt your red, puffy eyes tell the story. Apply witch hazel and cold water to a cloth and apply over eyes for 10 minutes to experience soothing relief. Other uses for witch hazel include helping soothe dry skin, healing rashes from poison ivy and oak, and witch hazel can also be used in homemade deodorant.